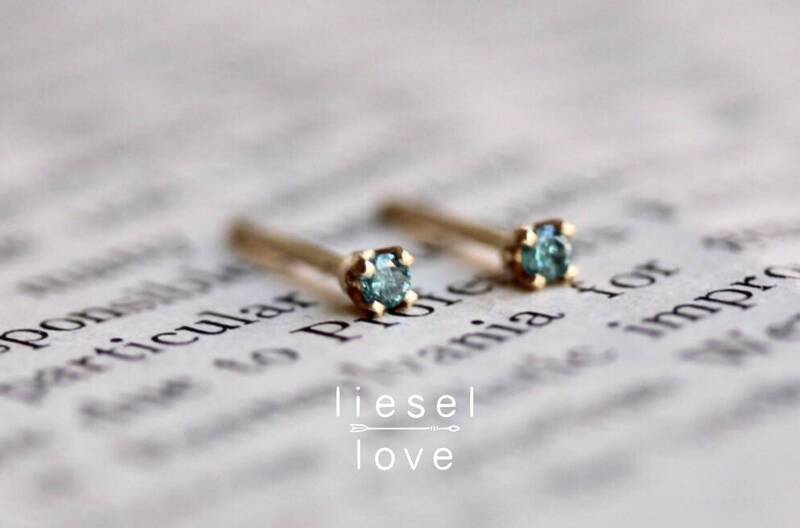 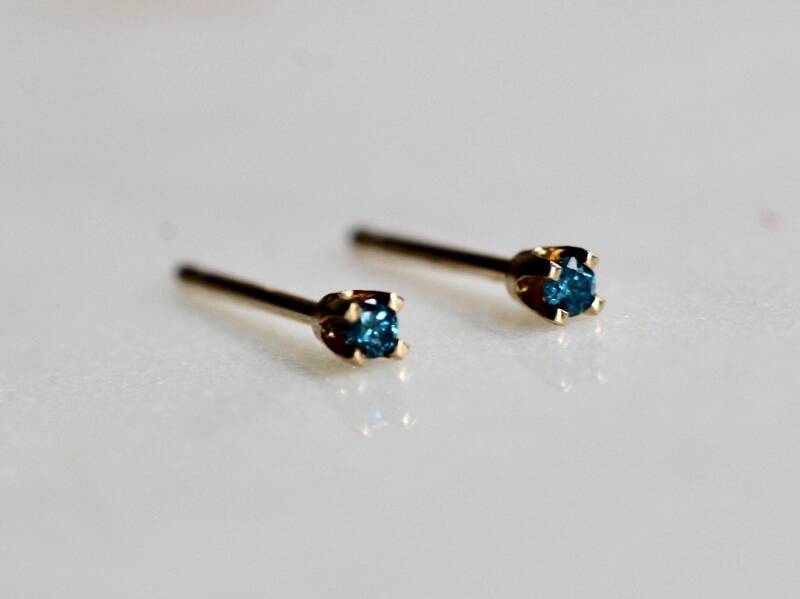 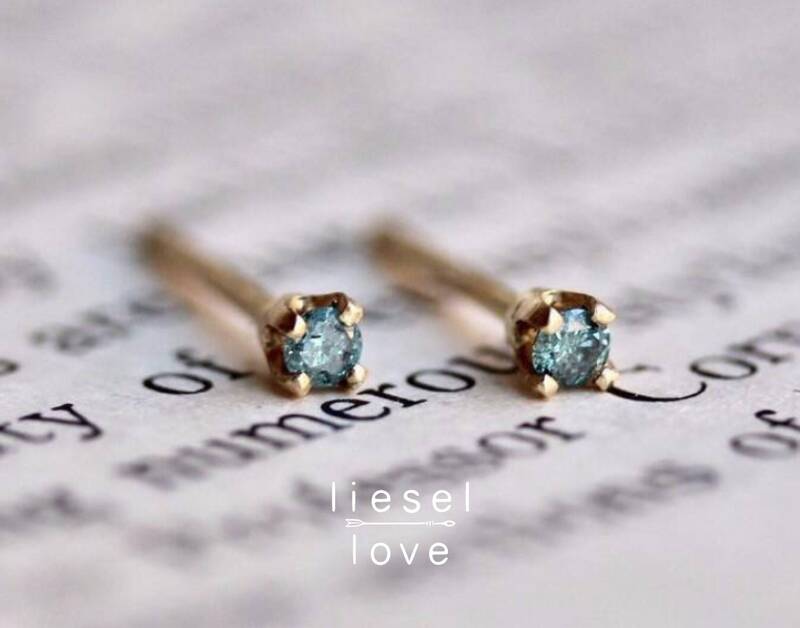 Perfect for multiple piercings, our 14K tiny blue diamond studs are a sweet addition to any outfit! 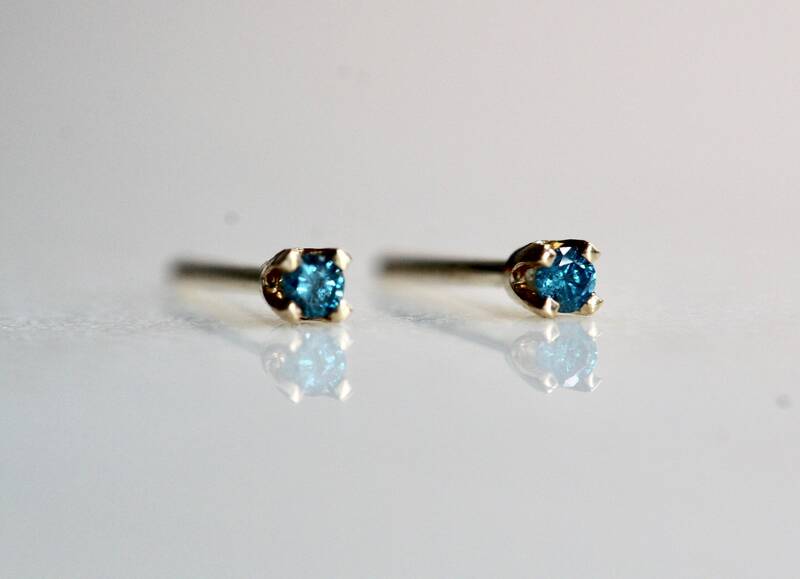 They also make a great bridesmaid gift! 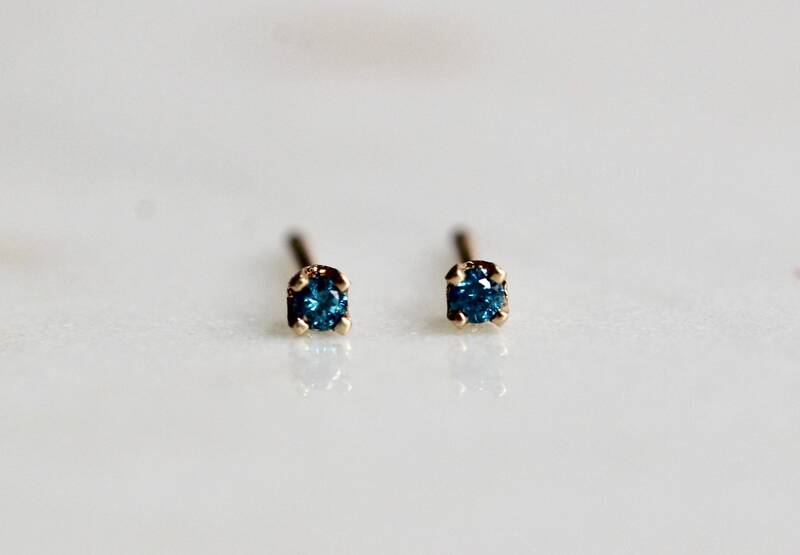 They are tiny but they have a bright sparkly too them. 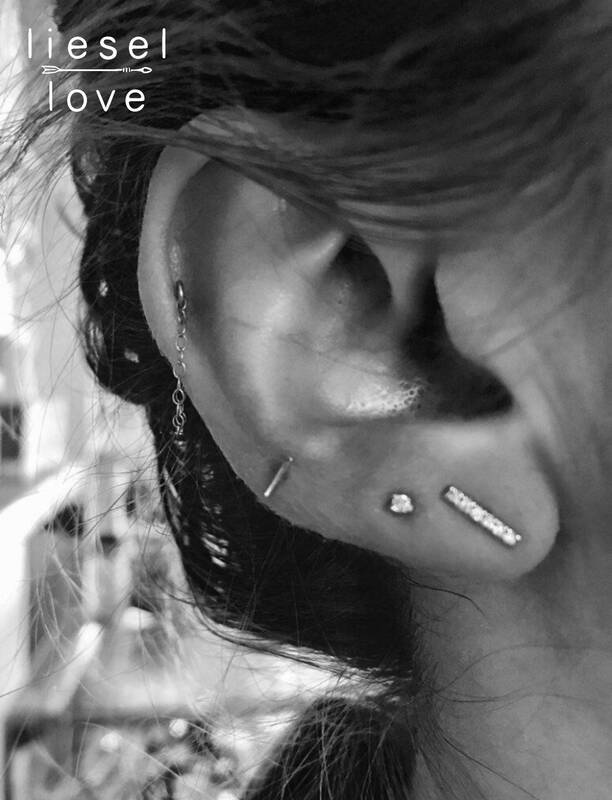 Perfect, tiny and well made!